They have 14 Olympic medals between them, but they currently have zero national team careers in their respective sports. In a matter of weeks, Ryan Lochte and Hope Solo have gone from two of the most-anticipated Olympic athletes from the United States to bearers of national (and maybe even international) scandal. In a turn of events that can only be described as disappointing, Lochte's and Solo's suspensions have let fans down since their performances in the Rio Games just a few weeks ago. USA Today reported Wednesday evening that the International Olympic Committee, the U.S. Olympic Committee, and USA Swimming had jointly agreed to suspend Lochte for 10 months. The suspension came as a result of Lochte's alleged falsification of an incident that occurred in Rio. You know the incident I'm talking about — if it were a Friends episode it would be called "The One Where Lochte Says He Was Robbed At Gunpoint." At the time, Lochte's mother had reported to the media that her son was robbed at gunpoint while leaving a party in Rio, but Lochte later changed his story multiple times, and it has been widely concluded that Lochte and his teammates likely were not robbed. 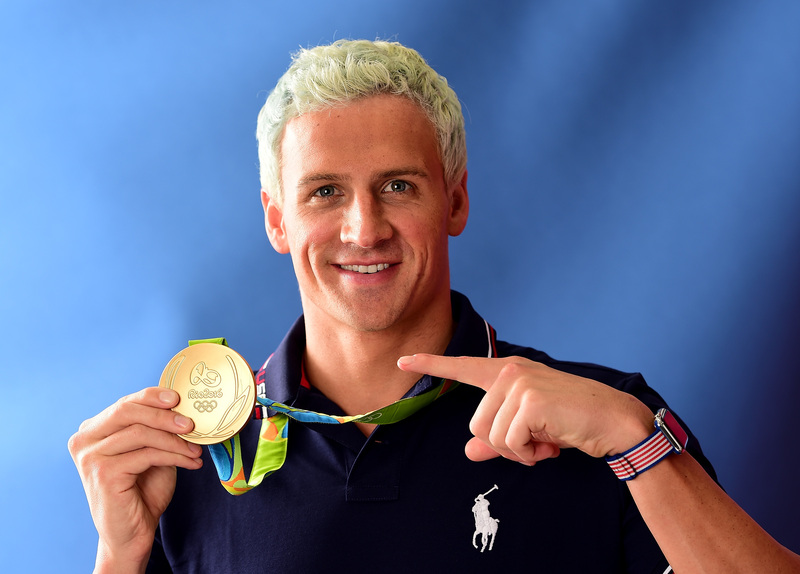 Both Lochte and Solo's suspensions come as a disappointment to fans and attentive audiences around the world. They were each given the opportunity to represent their country on a global stage, and they have now been publicly reprimanded in front of that international audience. They've stirred up international controversy and, arguably, they've cast a dark shadow over the country wit the most dominating athletic performance at the Olympics. The U.S. won more medals than any other country at the Games, but two of the most recognizable athletes in our Olympic delegation have now had their careers threatened because of their off-field (or out-of-pool) performances. Ultimately, Solo and Lochte will likely both have the chance to compete again, if they want to, when their suspensions run out. In the meantime, though, what example are they setting for the thousands — if not millions — of people who are watching them? Let's focus on — and encourage the international audience to focus on — the athletes who took less controversial routes to and from the Games, like the three American women who swept the 100-meter hurdles or the American track and field star who became the first man to win consecutive decathlon gold medals.